Thousands have been arrested in the wake of a failed military coup in Turkey that ended nearly as quickly as it began. For a primer on the news out of the region, we spoke with Mark Meirowitz, assistant professor at SUNY Maritime College, who writes about U.S.-Turkey relations and is writing a book on Turkish foreign policy. Tell us some of the basics about the attempted coup. 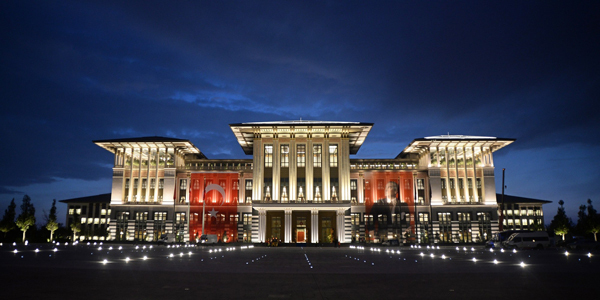 Some elements of the Turkish military launched an attempted coup against the government. They took hostage some of the high-level commanders in the military, blocked bridges and tried to take over a number of media outlets. The coup was unsuccessful because the president, Recep Tayyip Erdogan, went on FaceTime via a broadcaster who was holding up an iPhone and told the people to go to the streets and challenge the coup. They did, and the coup collapsed. It was not a well-organized operation, and it fell apart because of the support of the many Turkish people who went to the streets to confront the soldiers who were involved. Following that, the broadcast elements that were taken over by the coup were retaken by government elements. At this point, the government is looking into who was involved in the coup, and I assume they are going to prosecute those people involved. There are a number of commanders of a number of army elements who have been accused of being in the coup. The details are still very sparse and very unclear, but we know what appears to have occurred. Although the coup plotters took over TRT, which is a national public broadcaster, they didn’t take over a number of other outlets, which allowed President Erdogan to get his message out. Furthermore, many people weren’t even aware what was going on. They saw helicopters and heard sonic booms from jets, but they had no idea an attempted coup was underway. People were sitting in cafés, since it was Friday night, with no idea what was going on. I understand that on Shabbat there was very little attendance in the synagogues. A lot of people ended up staying home and waiting to see what happened. It was a very difficult experience because people were out on the streets not knowing what was going on. The attempted coup was very disorganized and it was ineffective. There were several conflicting media reports at the time over who was in power. Why was it so murky? The coup plotters went to one of the national broadcasters, but they didn’t take over all the broadcasters. They took over one broadcaster and coerced the announcer into reading a message that martial law is in place and they are taking control of the country. That’s why there was all this confusion. The coup didn’t really take power, but they had that announcement and it went out on the network. How was the attempt to seize power extinguished so quickly? It appears that certain elements of the military were involved. We don’t know the details, but it was not an all-pervasive coup, like the previous coups in Turkey. The previous coups in Turkey involved a higher level of military involvement. This coup did not have the support of the key military leaders. The reason why it collapsed is because a number of the high-level commanders came out and immediately supported the government. Most importantly, when the president asked for the people to challenge the coup, they went into the streets, went on top of the tanks, walked up to the soldiers and that was the end. The soldiers were not going to challenge the people. The coup plotters did not get the widespread support of the people that they expected. Because of that, it completely fizzled out. Erdogan and Fethullah Gulen, the reclusive Turkish imam living in the United States who is a political rival, are each pointing a finger at the other—Erdogan accuses Gulen of hatching the coup from Pennsylvania, while Gulen suggests that Erdogan could have staged the whole thing. What’s really going on here? The antipathy between the government and Erdogan, on one side, and Fethullah Gulen, on the other, has been going on for some time. This attempted coup is a further manifestation of that. The Turkish government is requesting the extradition of Gulen and the United States has taken the position that specific charges have to be brought and certain procedures have to be followed. The Turkish government’s request for Gulen’s extradition appears to have been linked with the status of US-Turkish relations. One hopes that these issues are not tied together and made conditional on each other. Strong U.S.-Turkish relations are essential to Turkish participation in NATO and Turkish involvement in the war against ISIS. These most recent developments related to the attempt of the coup are creating a great deal of confusion and a dissonance in the relationship between the U.S. and Turkey. Hopefully, this linkage of the request of Gulen’s extradition and US-Turkish relations, in terms of the coup and post-coup, will not interfere with these relations. This is extremely important. How will the coup affect Turkey’s standing in the international community? The events surrounding the attempted coup and post-coup have had a tremendous effect on perceptions in terms of Turkey’s future prospects. I think that Turkey needs to get back on track as soon as possible. The attempted coup has been a great distraction from a number of pressing issues that are going on in the region—terrorism, the war against ISIS, the migration and refugee issues, relations with the EU and Turkey’s relations with the United States. Turkey has been the victim of terrorism on a number of occasions, most recently on May 31 at the airport in Istanbul. The coup happened; it failed. We have to get back to focusing on the day-to-day issues. Is it fair to call Turkey a beleaguered nation? But there is no question that Turkey faces formidable challenges, and I do believe that by working with its friends and allies, including the United States and Israel, these challenges can be dealt with and solved. The Turkish nation has gone through many similar challenges and it will work its way through this one. Right now, however, they are hitting a rough patch. There is no question about it. The Turkey-Israel deal was announced just a couple of weeks ago. What does this mean for Turkish-Israeli relations? Interestingly enough, I just saw that Israel and Turkey’s diplomats spoke and the Turks are very appreciative of Israel’s support of the government during the coup. The Turkish Parliament is supposed to take up the Turkey-Israel deal this week, approve the deal and approve the acceptance of the $20 million in compensation for the Turks killed in the Mavi Marmara incident. The Turks want the deal and the Israelis want the deal. I know this from my own discussions with many Turks. Is it a perfect deal? No. Is it going to be the same level of warm friendship that existed back in the ‘90s? Possibly not. But that connection between the two countries is essential in a region that is in chaos. 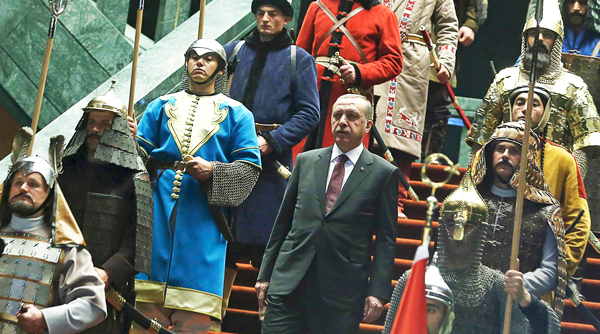 What does this mean for Erdogan and his grip on power, and for Turkish democracy more broadly? I would say that I totally support the approach of the United States and European nations, which are hopeful that Turkey overcomes its challenges, continue to prosper and move forward in the spirit of democracy. Working together with the United States and Europe, Turkey will hopefully be able to get back on track following the attempted coup.